The Kentucky Derby, held on the first Saturday in May each year since 1875, only lasts only two minutes but brings fun,excitement, and a lot of money to the Louisville area. Tickets to the Derby start at $65 for general admission and run into the thousands. Whether you sit in Millionaire’s Row, watch the race from the infield on TV screens, or watch at home, there are many other activities to capture your attention. Where is the Derby held? The Kentucky Derby, held on the first Saturday in May each year since 1875, only lasts only two minutes but brings fun, excitement, and a lot of money to the Louisville area. Tickets to the Derby start at $65 for general admission and run into the thousands. Whether you sit in Millionaire’s Row, watch the race from the infield on TV screens, or watch at home, there are many other activities to capture your attention. Part of the excitement is watching the horses who strive make it to the finish line and reward lucky bettors. This year, I’ll Have Another ran the race in 2:01.83 minutes and went on to win the Preakness. In 1963, Northern Dancer won the race in an even two minutes. Secretariat, who later won the Triple Crown, completed the race in 1:50.5 in 1973. The only other horse to break the record was Monarchos, who clocked in at 1:59.97 in 2001. What events make up the Derby? Three events originally made up the Derby: the Kentucky Derby, Kentucky Oaks and Clark Handicap. Currently, the Kentucky Oaks race is held the day before the Derby itself, while the Clark Handicap is run on closing weekend for Churchill Downs. Prior to the race on Derby Day, the horses parade to the post as the crowd sings Stephen Foster's "My Old Kentucky Home," the official state song. The Derby is the major social event in Louisville, as well as well as the major fashion event. Prominent wealthy spectators, decked out in hats and spring finery, sit in the stands, while thousands of other crowd the infield. People don’t dress up much anymore, but the tradition of making a fashion statement at the Derby with a hat lives on both among men and women. Hats supposedly bring luck, so spectators in the seated area and the infield alike don hats that draw as much attention as the horse race itself. For those who stand in the infield during the race, the hats are more whimsical. Though not “required” there, many hats make a social or political statement. In the dress circle, women wear hats that match their simple elegant outfits. 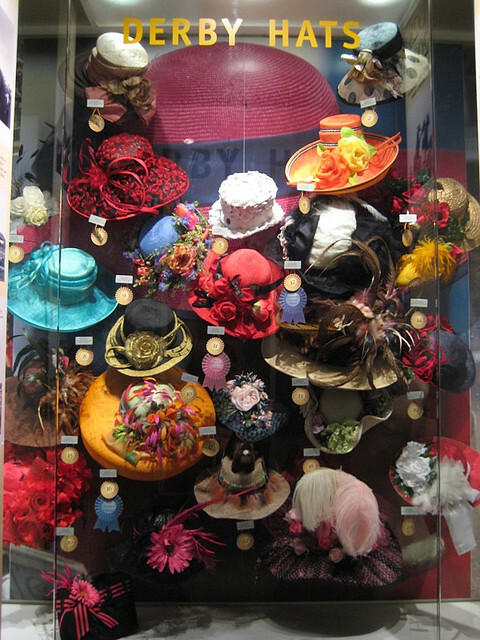 Often wide brimmed, lavishly trimmed, and expensive, the hats are made by exclusive milliners from Louisville and around the country, who use the finest Panama, Pariaisol, or Milan straw to hand-block the creations and then decorate them with fine ribbons, veiling, hand sewn silk flower, and feathers. Even men don period hats, often reminiscent of the 20s. Before the race, the excitement for the parade of hats rivals that for the race in this rain-or-shine tradition. (Savvy spectators tuck a large clear plastic bag in their pocket in case of a downpour.) Many celebrities attend the race, so celebrity hat-watching is part of the fun. Why is the Derby called the Run for the Roses? 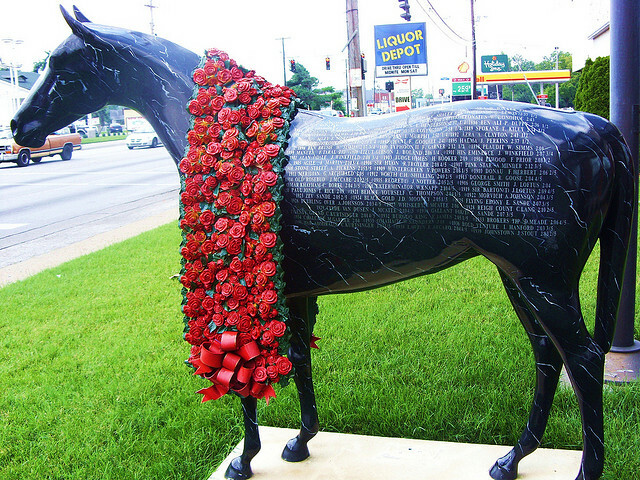 The winner of the Kentucky Derby is congratulated with a blanket of 554 red roses. In the 1880’s, a New York socialite, E. Berry Wall, offered roses to ladies at a post-Derby party. Colonel Clark liked the idea and eventually made the rose the official flower of the race in 1904. By 1896, the tradition of weaving them into a blanket to drape on the winner became the norm – except in 2008, when Big Brown, who hated flowers, won the race. New York columnist and later Churchill Down president Bill Corum dubbed the Derby the “Run for the Roses” in 1925. The name “Run for the Roses” was popularized in 1980 in a tune by the late Dan Fogelburg. The garland is prepared by the official Derby florist, the Kroger Co., who prepares it before crowds of onlookers in a local store. Winning owners of the garland to Danville, KY, where it is freeze-dried. Some owners even have a flower or two dipped in silver. How else in the Derby celebrated in Louisville? In the 10 days preceding the Debby, Louisville prepares for the race with a festival that includes balloon races, a stern wheel steamboat race on the Ohio River, the Pegasus parade, fireworks, concerts, and a coronation ball. Numerous parties throughout the city continue the celebration. Derby Festival – This festival that runs for two weeks prior to the Derby includes Thunder Over Louisville, a major air show with fireworks, the Great Balloon Fest, complete with balloon races, the Great Steamboat Race, the Pegasus Parade, a 26.2 mile marathon and 12 mile mini-marathon, and lots more. Kroger’s hosts their annual Fest-a-Ville on the Waterfront. Teams race beds on an 8-shaped courses at Yum! Center and sample local wine at Winefest. ds from sporting events, balls, and dinners. Events range from the upscale like Taste of Derby where you can sample Louisville’s finest restaurants, to the People’s Choice votes at $1 each for the Great Bed Races. 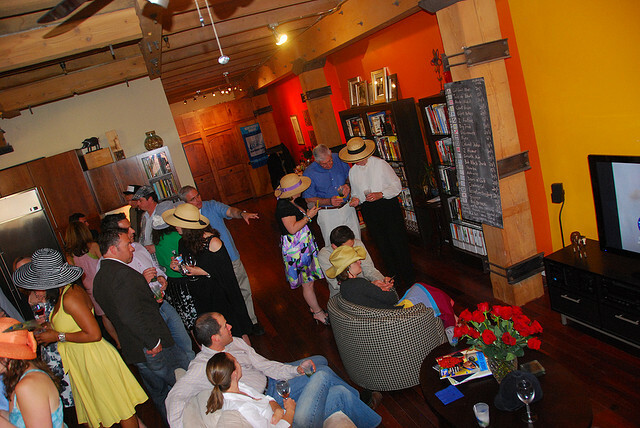 Louisville Tours – While in Louisville, many visitors use some of their downtime from other Derby events to drink in local color in every sense of the word with tours of area horse farms and local distilleries. Organized tours of horse farms in Lexington, Champion Horse Country of the Bluegrass State, offer a great way to see where many prize thoroughbreds are bred, raised, and trained. Since Kentucky is known for its bourbon, visiting the country’s oldest distillery Buffalo Trace at Frankfort, or other major distilleries such as Jim Beam, Wild Turkey, or Maker’s Mark, is a not-to-be missed part of visiting Louisville. 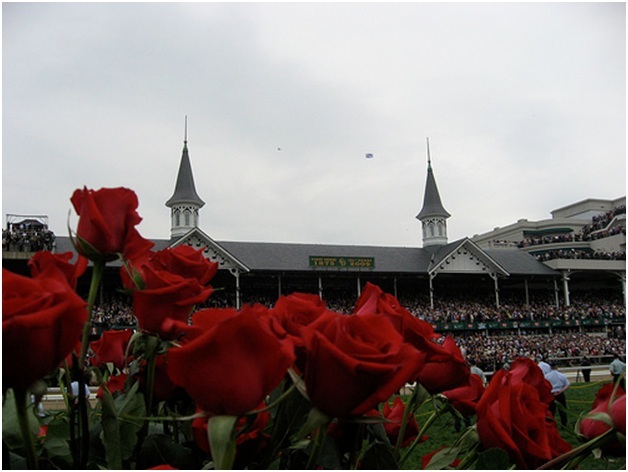 Many Derby Week travel packages include tours to horse farms and distilleries, as well as to the Derby Museum at Churchill Downs. 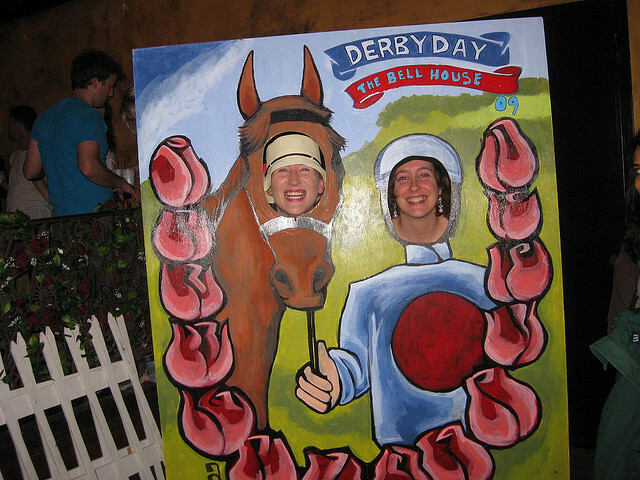 Derby Parties - Before and after the race, Derby parties, held at home or at bars and restaurants prolong the fun. Around Derby time, the most popular foods in Louisville include burgoo, a thick stew of beef, chicken, pork, and vegetables, along with Kentucky ham and biscuits. 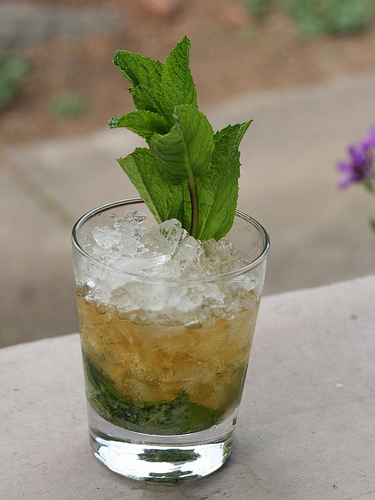 The official beverage of the race (and the days leading up to and following the race) is the mint julep, a sweet drink made of bourbon, mint, and sugar syrup. Why is the Derby important to Louisville? The Kentucky Derby is to Louisville what the Mardi Gras is to New Orleans. 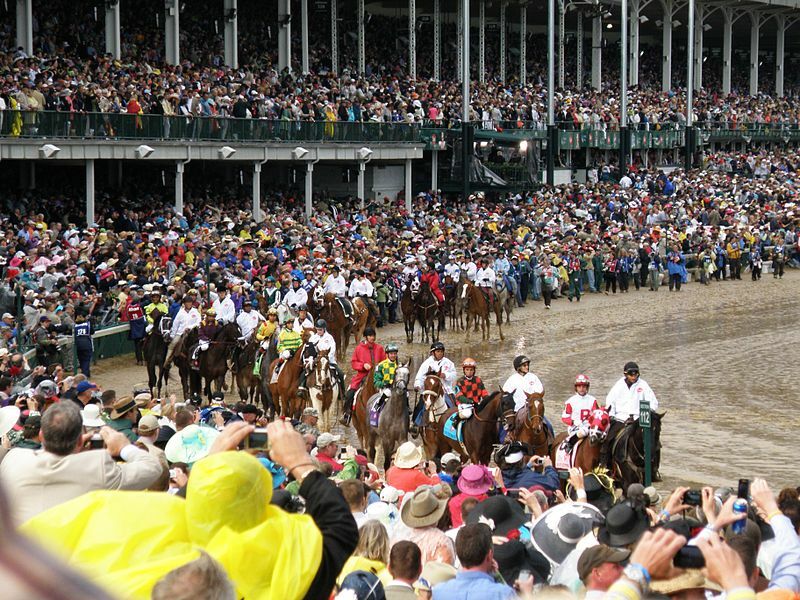 The city is consumed with the May event for several months of the year; in the spring, even if you aren’t particularly interested in horse racing, many of the most exciting Louisville happenings from February on are related to the upcoming event. By April, Derby-doings rule for both ordinary citizens and businesses and then continue for a couple months. You might even call Louisville “Derby-centric” as “the most exciting two minutes in sports” benefits the Louisville economy in a big way. To Louisville businesses, especially hotels, restaurants, and transportation companies, the two weeks surrounding Derby weekend itself is an “economic bonanza.” An extra 175,000 visitors translate to 70,000 premium-priced hotel rooms, 5 million extra meals, and 7 million dollars in Mint Juleps. In addition, since the Derby is a higher fashion event, retailers of hats, clothing, shoes, and accessories are winners too; ordinary people might spend hundreds on a laid-out hat for the day. The weeks of events prior to the race often have charges for admission or parking, plus offer plenty of pricey food and souvenirs. (About 2 million people attend the festivals, air shows, dances, dinners, and other events.) Private or group Derby parties benefit grocery stores, caterers, beer, wine, and liquor retailers, party supply shops, and more. Thunder Over Louisville, the opening event of the Derby Day festival held in the two weeks prior to the race, features the largest fireworks show in North America and costs $1 million to put on. The return on that is $31 million for one day. About $400,000 of the overhead for Derby Festival sponsors goes to local vendors of portapotties, golf carts, fencing, security devices, portable generators, and tee shirts to identify workers. Food vendors on site buy $300,000 in supplies from local distributors in Louisville and Southern Indiana. About 100 temporary part timers are employed by the Derby Festival. Other businesses – and the Louisville citizens who work there - benefit too. Bell captains at the Galt Hotel report that patrons tips more generously for porter services, which makes Thunder day one of the top days of the year. Papa John’s Witherspoon pizza store reports that Thunder Day sales are the best in the year, bringing in a week’s sales. The Belle of Louisville raises $35,000 of its operating budget, while many Louisville non-profits and attractions like the Kentucky Center for the Arts and Actors Theatre, The Louisville Ballet, The Louisville Science Center, the Louisville Slugger Museum, and Waterfront Development hold many successful Derby-themed fundraisers. The entire Derby Festival has a $5 million dollar budget but generates nearly $100 million, so every dollar spent to put on the events puts over $18 into the local economy. This figure is over and above dollars spent at Churchill Downs, hotels, and restaurants. During Derby season, the real winners are the city and the people who enjoy the events and profit from expenditures made at that time to enjoy it all. Whether you’re off to the races or not, Derby-centric Louisville is a wonderful place to visit and an even better place to live.